1.2 Please read these terms and conditions carefully, as they govern your use of the website operated by Broadgate Estates Limited and/or Vicinitee Limited ("we" or "us") to be found at www.portguardian.com (the "Site"). By accessing or using the Site you agree to be legally bound by these terms and conditions as they may be modified and posted on the Site from time to time. 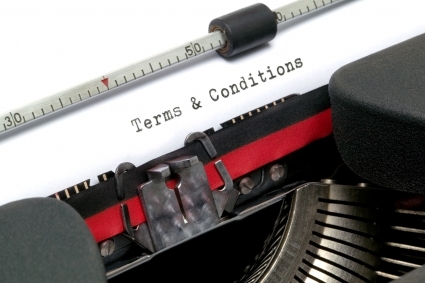 If you do not wish to be bound by these terms and conditions then please do not use the Site. 2.1 The Site provides and operates as an on-line community for certain locations managed by us and provides access to information and services relating to particular buildings and their surrounding areas (each a "Location"). The Site acts as a comprehensive guide to all facilities and their services available in your area and also provides a wealth of important information concerning the building in which you work from day to day. The Site also provides opportunities for you to share your views and experiences and to connect with the relevant people within such a Location. 3.1 We reserve the absolute right to alter, suspend or discontinue any aspect of the Site or the services provided through it, including your access to it. Unless explicitly stated, any new features on the Site, including but not limited to the release of new services, software tools or resources shall be subject to these terms and conditions. 4.2 The following applies to all/any notes, messages, bulletin board postings, ideas, suggestions, concepts or other material submitted by you to us ("Content"): " you must own or have the right to submit Content for publication on the Site and all Content submitted by you must be legal, honest, decent and truthful and comply with all applicable laws, regulations, standards or codes of conduct; " You must ensure that the Content does not advertise or otherwise solicit for funds or is not a solicitation for goods or services other than in the Classifieds section of the Site; " you must ensure that all Content submitted to us does not infringe the copyright, design, privacy, publicity, data protection, trade mark or any other rights of any third party, nor be obscene, abusive, threatening, libellous or defamatory of any person; " we have the right to monitor Content and may edit, reject or remove Content for any reason including, but not limited to those listed above. 4.3 All Content submitted to us will become the property of Vicinitee Limited throughout the world (except for any portion of the material that is Personal Information) and you agree to assign to us, with full title guarantee, where appropriate by way of present assignment of future copyright, all rights in Content (whether or not already created). You have the sole responsibility for the Content which you submit to us for publication on the Site and you shall indemnify and shall keep us fully and effectively indemnified on demand from and against all actions, claims, losses, liability, proceedings, damages, costs, expenses, loss of business, loss of profits, business interruption and other pecuniary or consequential loss (including legal costs and expenses) suffered or incurred by us and arising directly or indirectly out of the publication of material submitted by you to us. You are solely responsible in all respects for all use of and for protecting the confidentiality of any e-mail verification number and password, which may be given to you or selected by you, for use on the Site. You may not share these with or transfer them to any third parties. You must notify Vicinitee Limited immediately of any unauthorised use of them or any other breach of security regarding the Site which comes to your attention. 6.1 The Site and all materials and information thereon are provided on an "as is" basis. To the fullest extent permissible by applicable law, we do not make any express or implied warranties, representations or endorsements whatsoever with regard to the Site or any information or service provided through the Site. To the fullest extent permitted by law we will not be liable to you for any loss or damage of any nature whatsoever and howsoever arising (including due to our negligence) out of or in connection with the viewing, use or performance of the Site or its contents, whether due to inaccuracy, error, or omission or any other cause and whether on the part of Vicinitee Limited or our servants or agents, or any other person. The contents of the Site are protected by international copyright laws and other intellectual property rights. The owners of these rights are either us, Vicinitee Limited or other third party licensors. All product and company names and logos mentioned on or in the Site may be the trade marks, service marks or trading names of their respective owners, including Portguardian.com Management Services. You may not modify, copy, reproduce, republish, upload, post, transmit or distribute, by any means or in any manner, any material or information on or downloaded from the Site including but not limited to text, graphics, video, messages, code and/or software without our prior written consent. Portguardian.com provides hypertext links to other sites on the Internet ("Third Party Sites") and also offers services through the Site, which are operated by other people, in the local area, who offer a wide variety of services and/or products at a Location ("Third Party Service Providers"). We make no representations whatsoever about any Third Party Sites or Third Party Service Providers which you may access through this Site or which may link to the Site. When you access or contract with any other Third Party Sites or Third Party Service Providers you understand that it is independent from the Site and that we have no control over the content, quality or availability of that Third Party Site and/or services to be provided by a Third Party Service Provider. In addition, a link to any other Third Party Site or Third Party Service Provider does not mean that Portguardian.com endorses or accepts any responsibility for the content, quality, or the use of, such a Third Party Site or Third Party Service Provider. Portguardian.com shall not be liable for any loss or damage caused or alleged to be caused by or in connection with use of or reliance on any such content, goods or services available on or through any such Third Party Site or services to be provided by a Third Party Service Provider. Any concerns regarding any Third Party Site or Third Party Service Provider should be directed to its respective site administrator or web master. 10.2 We may alter these terms and conditions from time to time and post the new version on the Site, following which all use of our Site will be governed by that version. 10.4 These terms and conditions and your use of the Site are governed by English law and you submit to the non-exclusive jurisdiction of the English court. All notices shall be given by e-mail to info@portguardian.com Notice will be deemed received 24 hours after e-mail is sent.